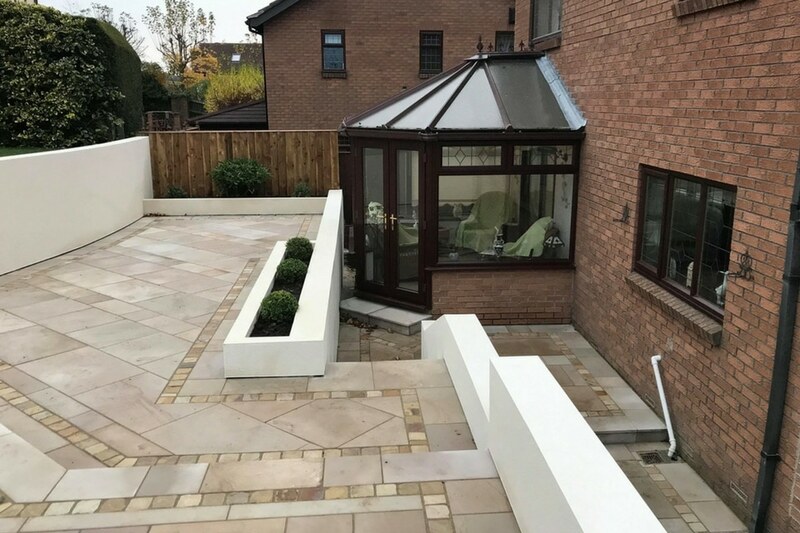 In this project, we used Marshalls Fairstone Sawn Versuro paving mixed with Indian sandstone to give a more creative styling. In addition, we used different sized blocks to give more appeal to the patio area. 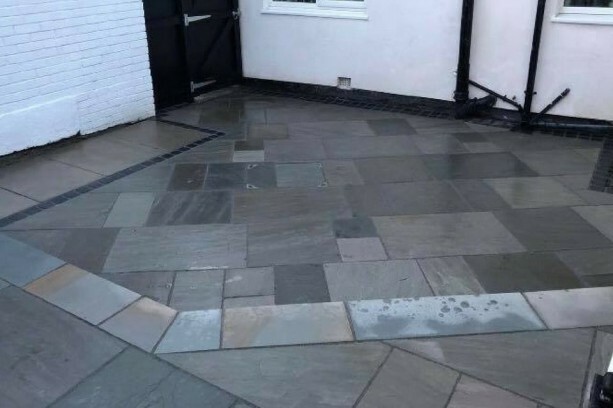 To define the two areas of the patio we used a cobbled look border in slate, we also created a step using the paving up to the next level of the garden area. Marshalls Indian sandstone paving comes in three different natural colour blends Buff Multi, Brown Multi and Grey Multi this gives you a great deal of flexibility when trying to match colours to your outdoor area. 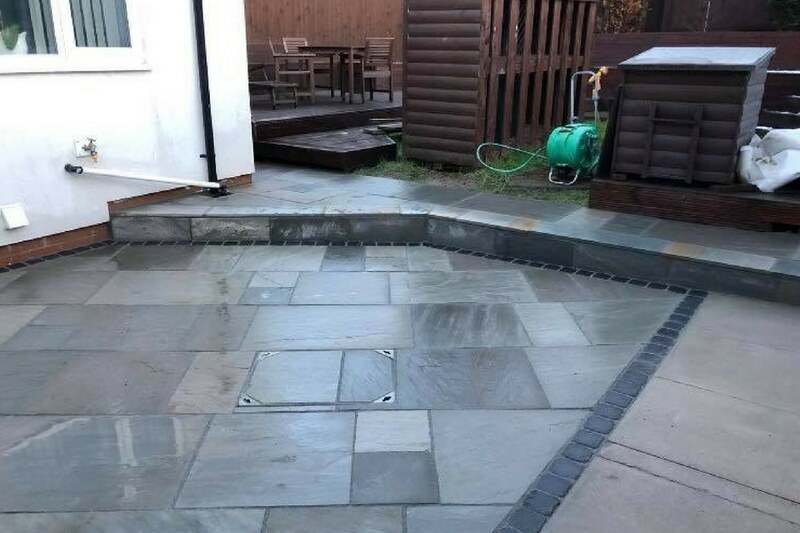 Circle features are also available with Indian Sandstone Paving, these can offer a little something different for your patio area. Sawn Versuro is perfect for creating beautiful patio areas. It’s a fine-grained Quartzitic sandstone which comes from India. The lightly sandblasted and brushed finish of the paving slabs offers both a modern and stylish look to your patio or pathway. 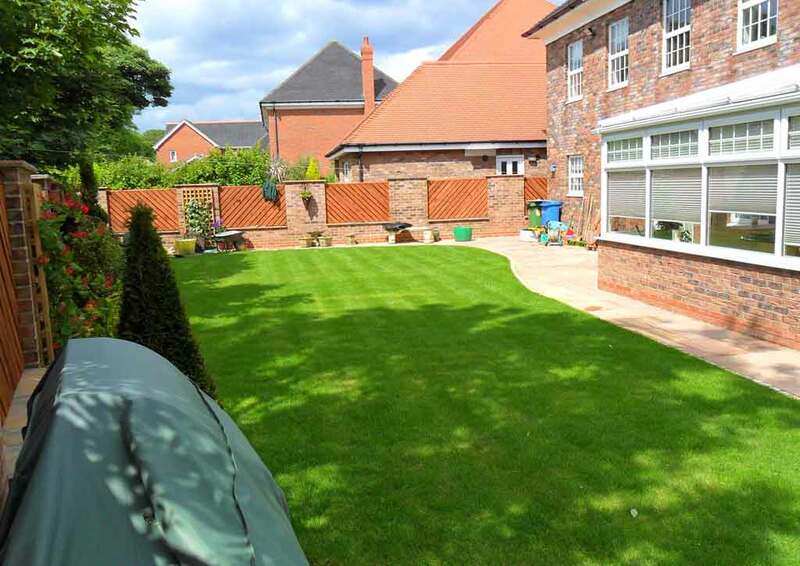 This type of paving is carefully selected by hand for its colour and precision sawn. Four colours are available in this garden paving antique silver multi, caramel cream multi, autumn bronze multi, golden sand multi. Furthermore, these beautiful subtle colours will coordinate with any design scheme, they also blend it perfectly with the natural environment. 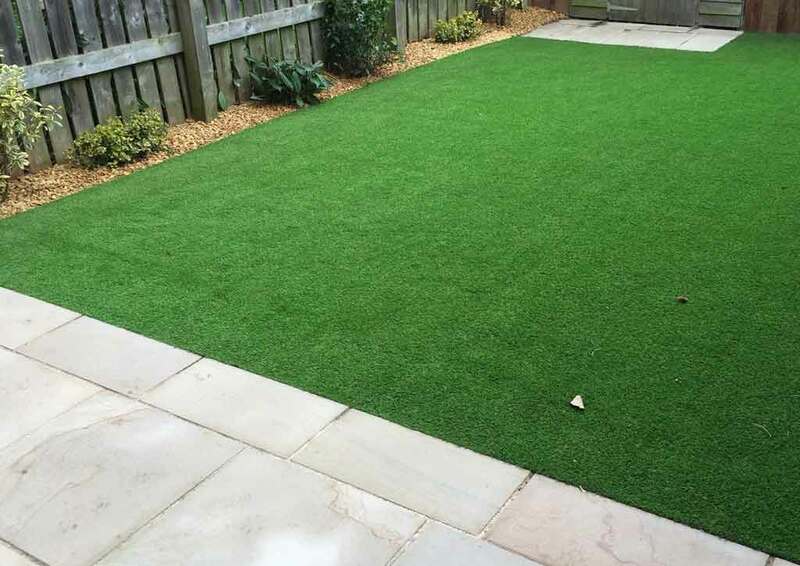 For your information, this paving is also available in a wide choice of sizes to create a completely individual bespoke look for your outdoor area. 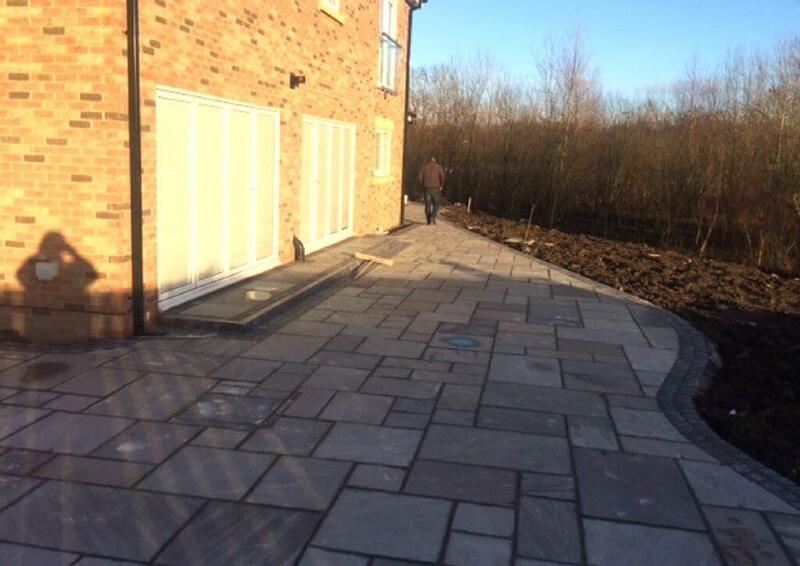 Steps, walling and edging are also available to match the patio stones in this design. Finally, we also have a range of finance options available, please see our finance page for further details.